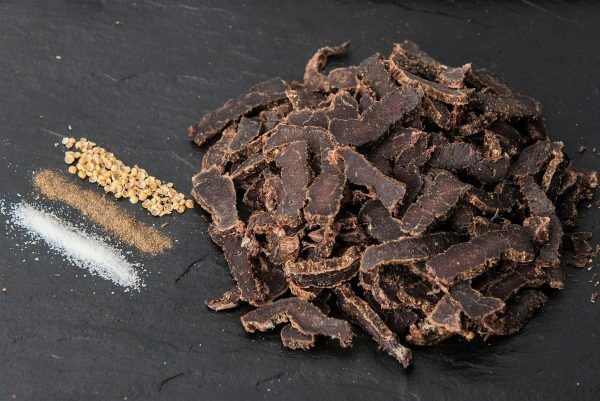 Purchase this product now and earn 20 Biltong Nuggets! 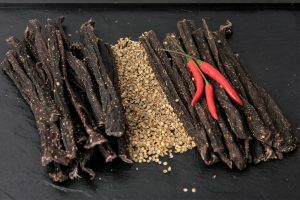 Sliced Original Biltong is simply made by thinly slicing whole sticks (pieces) of ready air dried biltong. 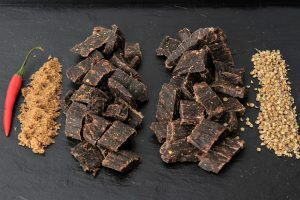 Due to the fact our biltong is so lean it takes a huge 260g of our freshly marinated topside beef to make 100g of our Original Sliced Biltong. We also boast a huge 52g of protein per 100g portion! 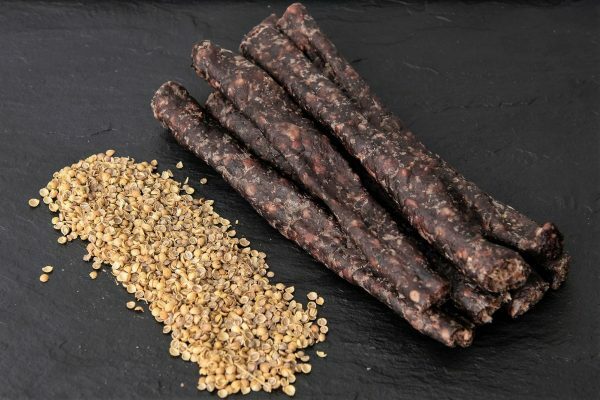 Dry Wors or Droewors (dry sausage) as the local South Africans call it, is a traditional and very popular ready-to-eat, high in protein, air dried, delicious beef snack. 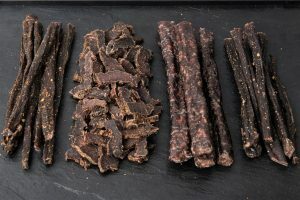 Dry Wors is simply made by air drying the traditional Boerewors sausage, with a few alterations in spices and production. 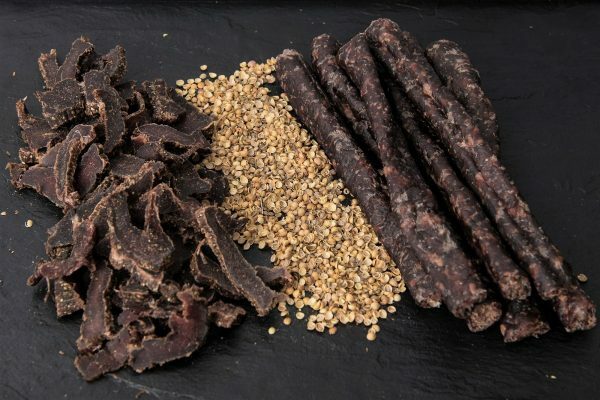 We make our Dry Wors using carefully selected joints of topside beef and beef trim of the best quality from our approved suppliers. 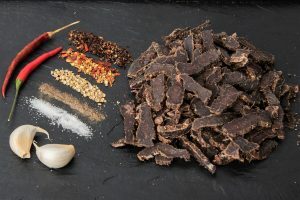 We use our own unique variety of spices to make our version of the famous snack. Unlike other producers we only use 100% minced beef in our Dry Wors. The minced beef mixture is a combination of lean meat (80%) and a small amount of fat content (20%). Ofcourse we only use natural casings to make our Dry Wors. The prepared sausage is then slowly air dried to perfection and packed in a protected atmosphere. It takes 260g of freshly marinated beef mince to make just 100g of our Original Dry Wors. We also boast a huge 51g of protein per 100g portion! Our Original Dry Wors will have a Medium to Medium Well consistency. We also offer a variety of different options in our Variety Packs.